The restaurant company Shake Shack is now taking its burgers, shakes, and crinkle-cut fries to Wall Street. 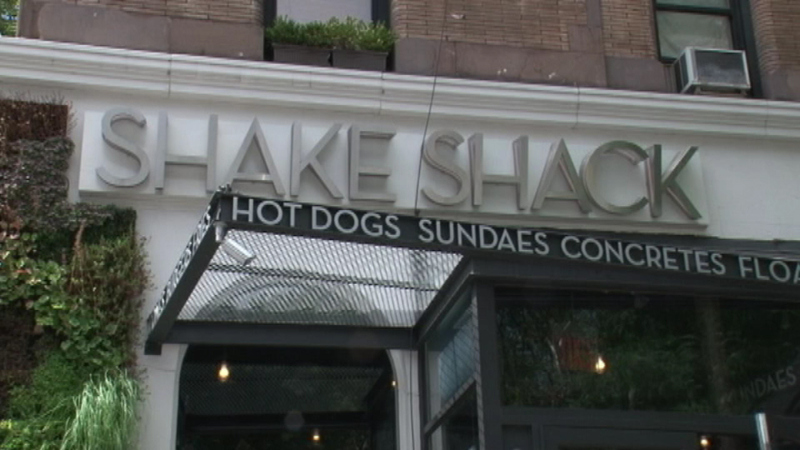 CHICAGO (WLS) -- Burger chain Shake Shack plans to raise up to $80 million when the company goes public this week. The chain, which opened its first location in Chicago last year, expects the stock to open somewhere between $14-$16 a share. Shake shack plans to use the money from the IPO to open hundreds of new locations across the country.